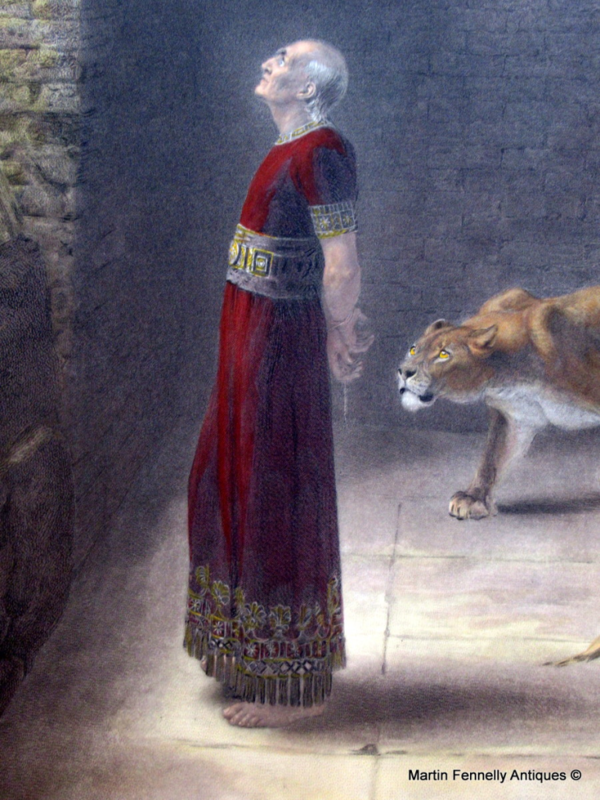 'Daniel’s Answer to the King' 1890. Briton Rivière (1840–1920) was a British artist who specialized in painting animals. Rivière meticulously studied wildlife to perfect his compositions. He attended dissections at the London Zoological Gardens and kept the “body of a fine lioness” in his studio. In this work, he paints a scene from the biblical story of Daniel, a Jewish official in the service of the Persian king Darius. Darius had issued an edict that no man should pray to any God or man other Darius himself. 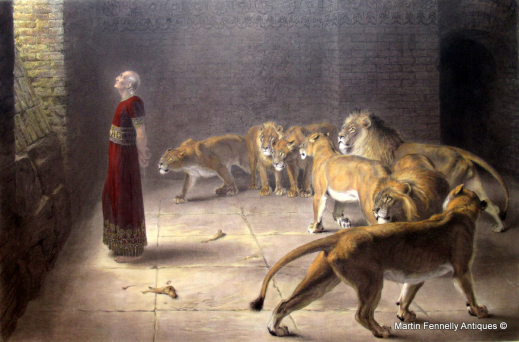 Daniel defied the ruling and continued to pray toward Jerusalem, so Darius convicted him and threw him to the lions. The next day Daniel was still alive and unharmed. Rivière shows Daniel with his back turned on the lions in relaxed contemplation, eyes raised in deference to God. Here Daniel prefers to face death rather than forsake God. 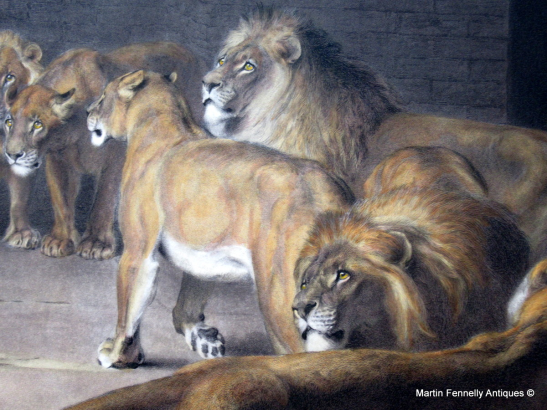 This Large hand coloured engraving is truly magical and gets admiring glances from all that visit my Gallery.